This post shares affordable vinyl plank flooring reviews from a homeowner perspective. 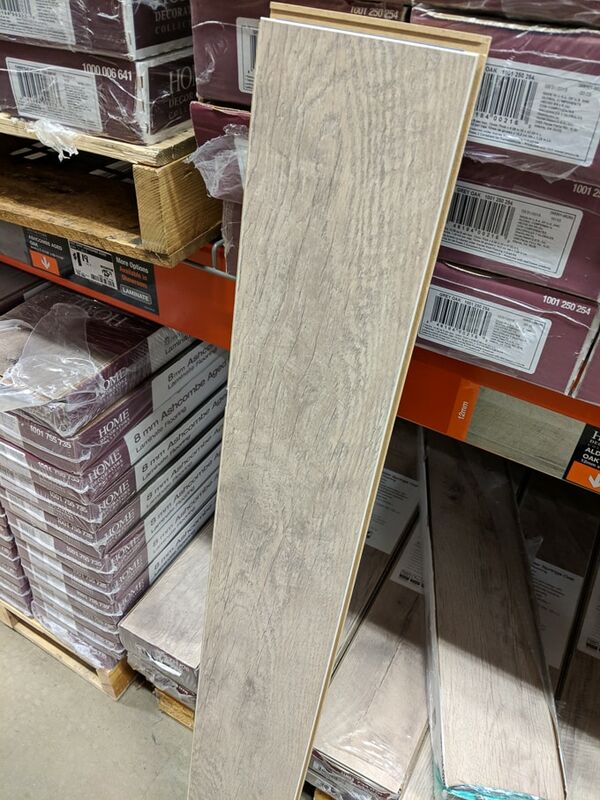 I have researched affordable vinyl plank flooring for months and want to share my findings with you, plus the line we decided to put on our concrete slab in the basement. I’m not here to sell you anything, and this post is not sponsored in any way. However, it may contain affiliate links. You can read more about that here. Thanks, and enjoy! 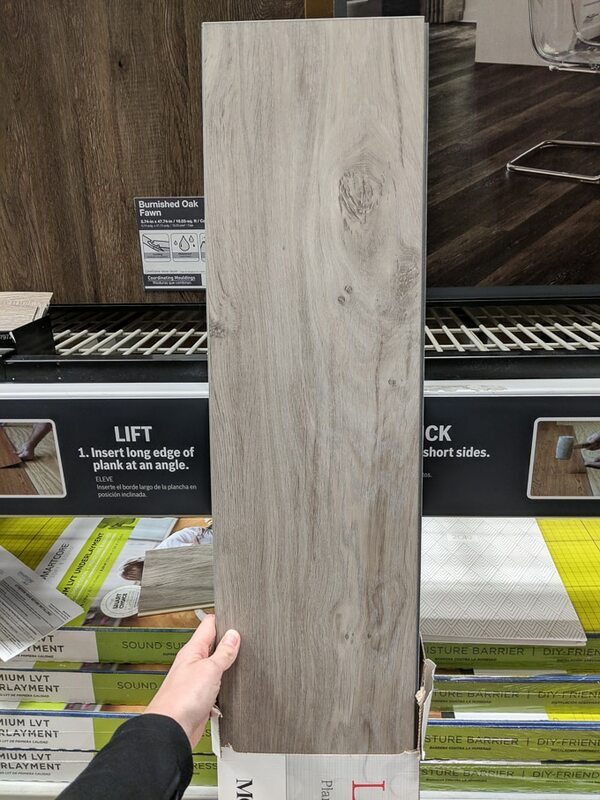 I have been researching affordable vinyl plank flooring reviews for months. I’ve read countless websites—store, big brand, and blogger reviews—asked for input in Instagram, and asked for input on my personal Facebook page. I asked friends at work and grilled flooring store employees (nicely) about the pros and cons of each option. Basically I am insane. But being insane can lead to well-informed decisions, which I am confident we’ve made! If you’re looking for honest affordable vinyl plank flooring reviews from a homeowner, you’re in the right place! Much like my recent DIY or Hire Out: Lessons from the Staircase post, this one is going to be long. Buckle up and get ready to take some notes! Why Choose Vinyl Plank Flooring For My Basement? 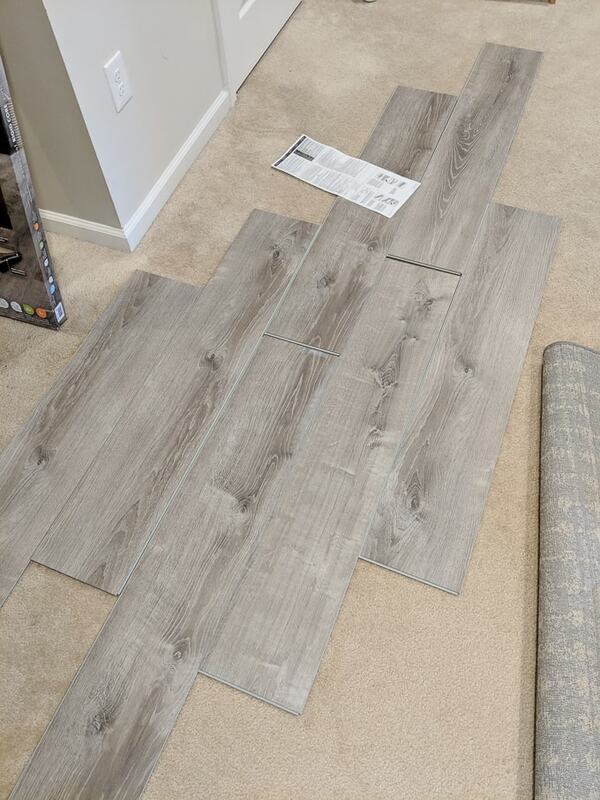 First I want to cover why we’re going with vinyl plank floor for our basement. Some people still have the view that vinyl flooring is icky and ugly, but that simple isn’t the case. It will be a huge step up from the gross carpet we have. Durability. It’s waterproof. We have a kid and pets, and this space leads to the backyard, where we spend a lot of time. It’s also tough and easy to clean. Ease of Installation. Most use an easy click-lock floating method and only require a few tools. 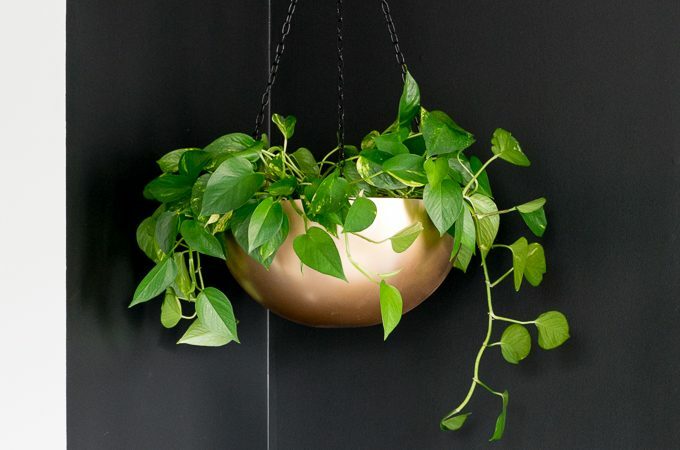 Handy homeowners can handle installing it. Warmth. We’re putting ours on a concrete slab, so I’m not sure how much this will hold true, but I’m positive it will be warmer than tile. 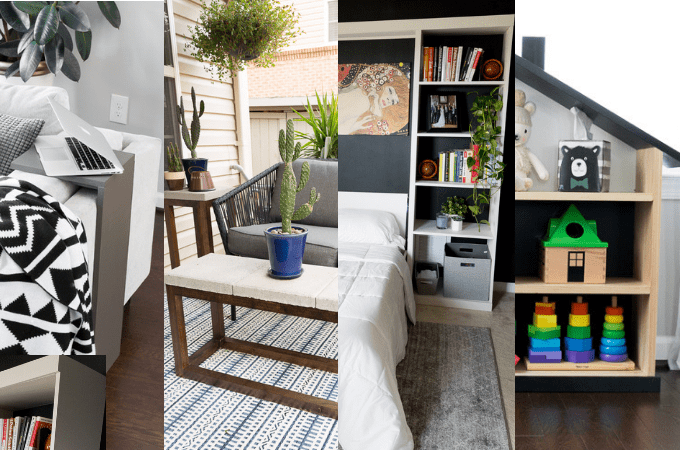 What Affordable Vinyl Plank Flooring Brands are Best? $3 or less per square foot. Can be laid on a concrete slab. Excellent reviews—how does it hold up? Available for me to buy myself—I didn’t want to go through a distributor. I wanted to see large samples, bring them home, feel them, etc. 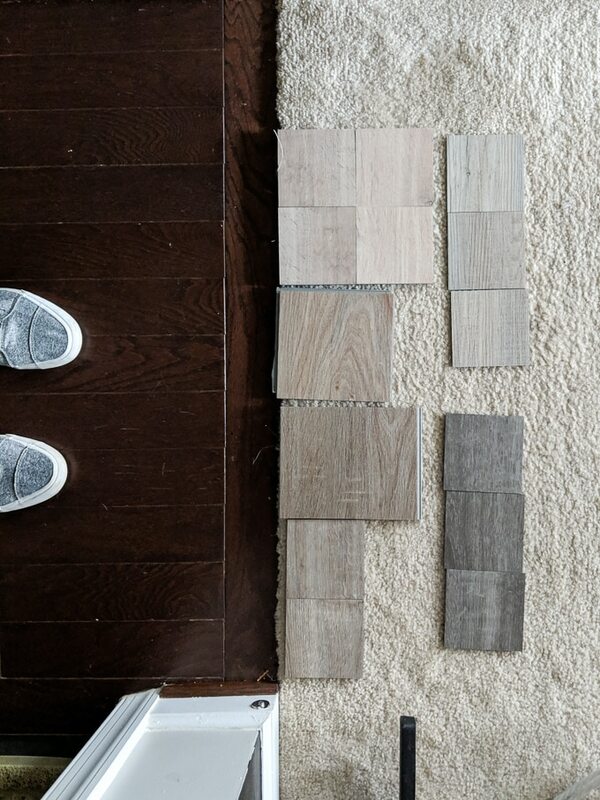 Color—the perfect gray-brown to tie in our existing coffee-colored flooring without looking like we were trying to match. Not too much color variation (not my cup of tea), and not too beach-y looking. I quickly nixed some options due to my requirements. 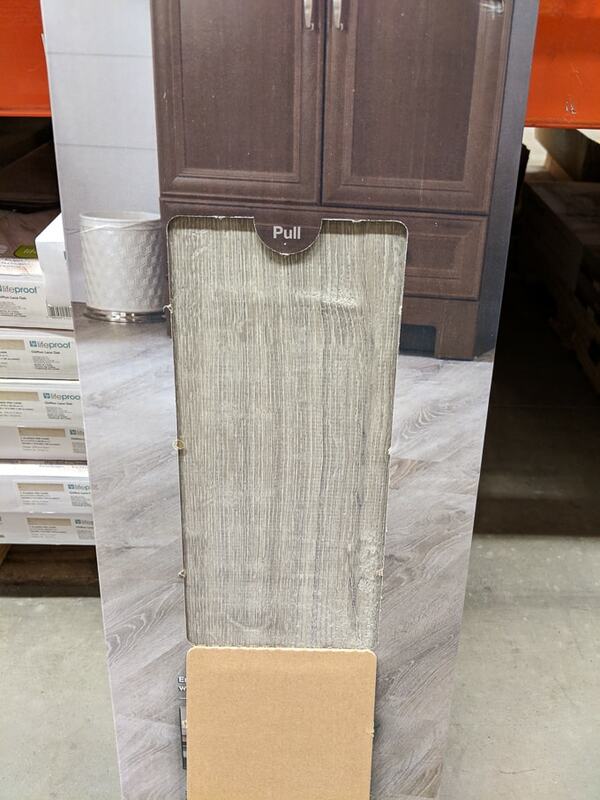 There are some really great higher end vinyl plank flooring brands that can cost upwards of over $5/sq ft. Mannington, Karndean, Congoleum, Cali Bamboo, and some of the brands I looked at have higher-end vinyl plank lines. I looked at all of them, but most were out of my price range. 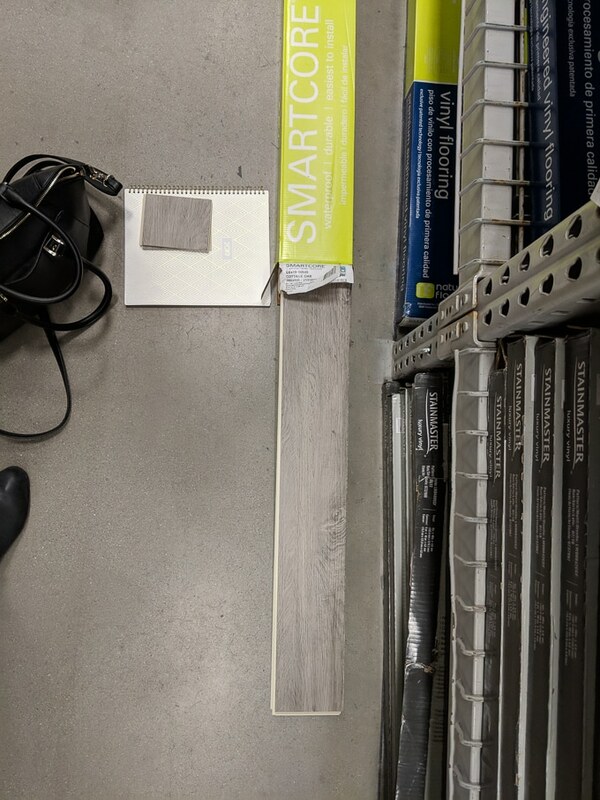 SMARTCORE is exclusively sold at Lowe’s and is marketed as their best vinyl plank. It’s 100% waterproof, and the website says it will never swell when exposed to water like laminate can. (Note: I question this because its core layer is MDF. Is it truly waterproof?). The gentleman at Lowe’s said this is the best option to hide very minor imperfections in subflooring. It meets standards for low emissions, has a durable double coat of UV acrylic finish, and has a 12 mil wear layer for high traffic. Limited lifetime-residential warranty. The planks look amazing and felt substantial. One detractor, however, is that its backing didn’t seem as cushy as some of the others. The store associate also said I needed an additional underlayment—no biggie, but adds to the cost calculations. I considered Cottage Oak and Huntington Oak, ultimately favoring Cottage Oak because it had a bit more gray in it. While the Mohawk Luxury Vinyl Plank was thinner than the SMARTCORE, it has a thicker wear layer, so I thought it was worth checking out. Especially since the colors online looked beautiful. I was disappointed that only one color was available in stores—thankfully one I was interested in—and there were no samples. The Mohawk planks have a low gloss surface finish, which I like. They have some really beautiful patterns that I thought looked more authentic online. Mohawk also markets a painted bevel edge for a more authentic look. Limited lifetime residential warranty, but no mention of reviews for health hazards. I considered Tybee Island and North Sound. Luckily Tybee Island was in the store and the package was already open, so I took them out to investigate. 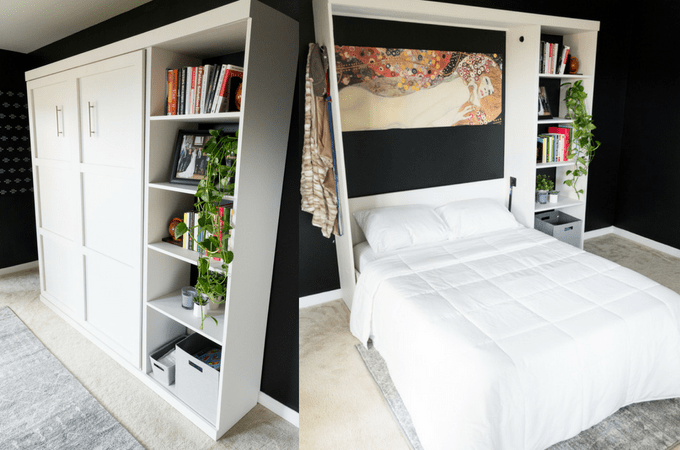 The color and pattern were stunning—exactly what I was looking for. But they felt very flimsy and I worried about how comfy they’ve be on our concrete subfloor. The associate also said they wouldn’t be great for surfaces with any imperfections. Bummer. Less thickness and wear layer than the Mohawk floors, so why did I even consider it? The colors looked lovely online, and the reviews were great. The cost was excellent, too. STAINMASTER is a recognizable brand. They market their planks as having a protective urethane coating to provide enhanced durability. Limited lifetime residential warranty. I considered Washed Oak Dove, Washed Oak Umber, and Washed Oak Cottage. Washed Oak Dove was my favorite, but unfortunately Lowe’s didn’t have any samples. I also thought the planks felt very flimsy, much like the Mohawk planks. I had the same concerns about our concrete subfloor and comfort. 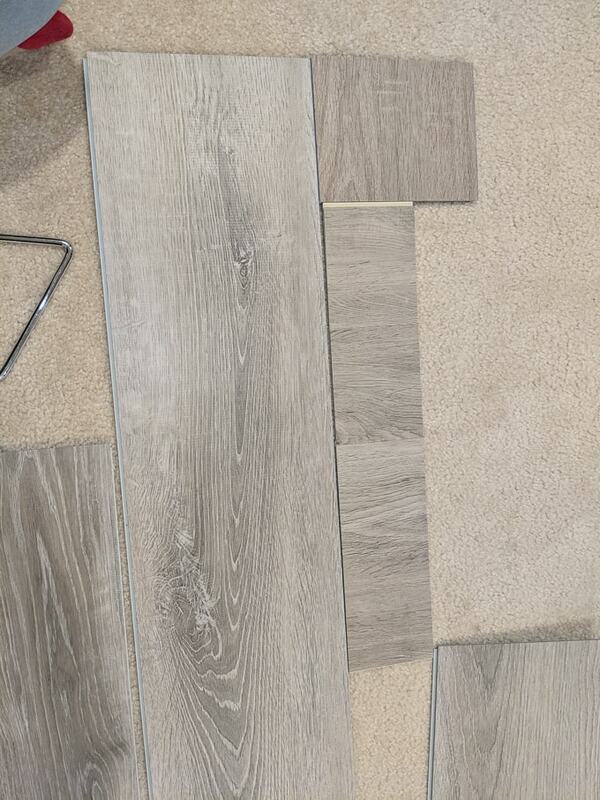 Full disclosure, I have worked with Floor and Decor in the past on our master bathroom. They provided me with the tile, and we had a great experience. So when a friend mentioned that they loved their NuCore vinyl plank flooring, I added it to the list. 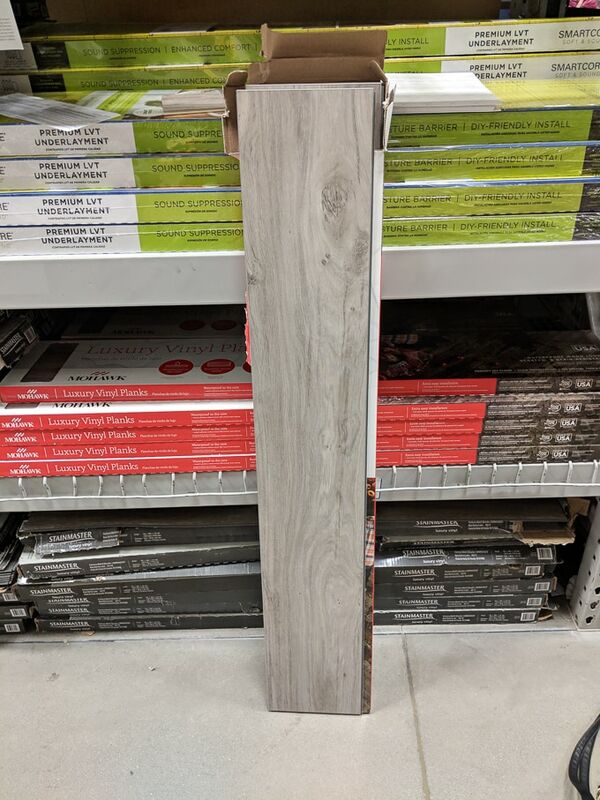 However, the reviews online were spotty, and I didn’t have time to get down to a Floor and Decor to see the planks in person and talk to someone, so I nixed them. Sorry, Floor and Decor! 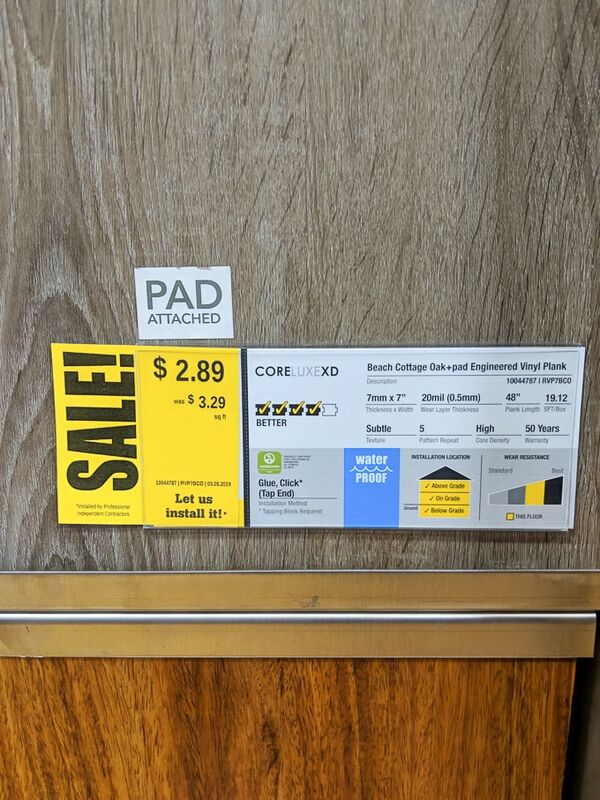 This was one of the highly reviewed options from some of my friends who have the floors and live on them every day, so I was excited to check them out. 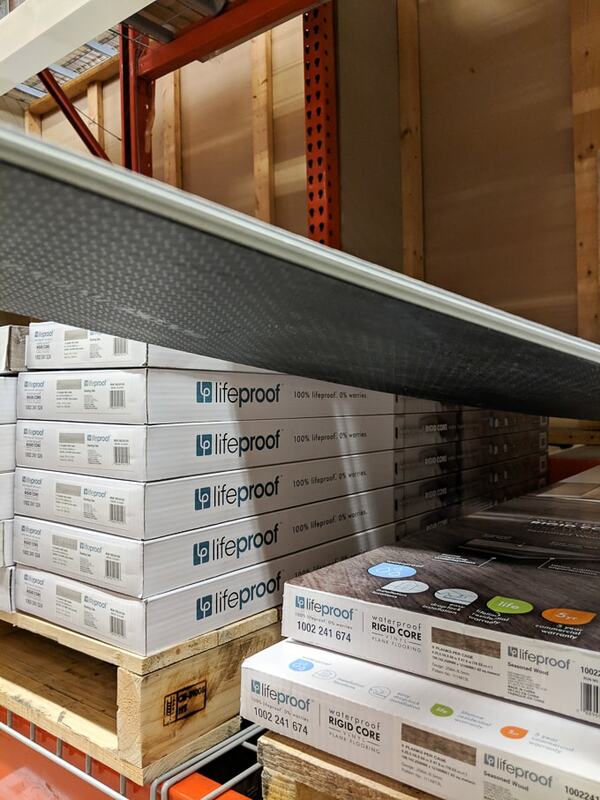 LifeProof planks have an “innovative highly engineered” closed-cell foamed PVC core (ISOCORE) that makes them very rigid. Home Depot also markets the attached underlayment as able to minimize sounds and enhance warmth. They also say that the planks have a treatment that inhibits the growth of mold and mildew on the attached underlayment and top surface layer. The planks are phthalate- and formaldehyde-free. 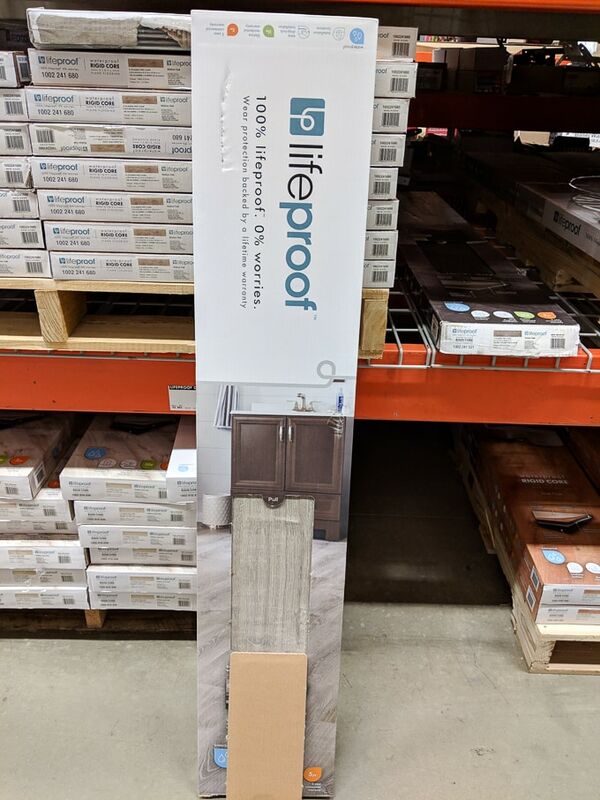 The wear layer is a bit thinner than the others, but Home Depot says it’s “enhanced with ceramic bead” that “resists scratches and enhances durability.” Lifetime residential warranty. 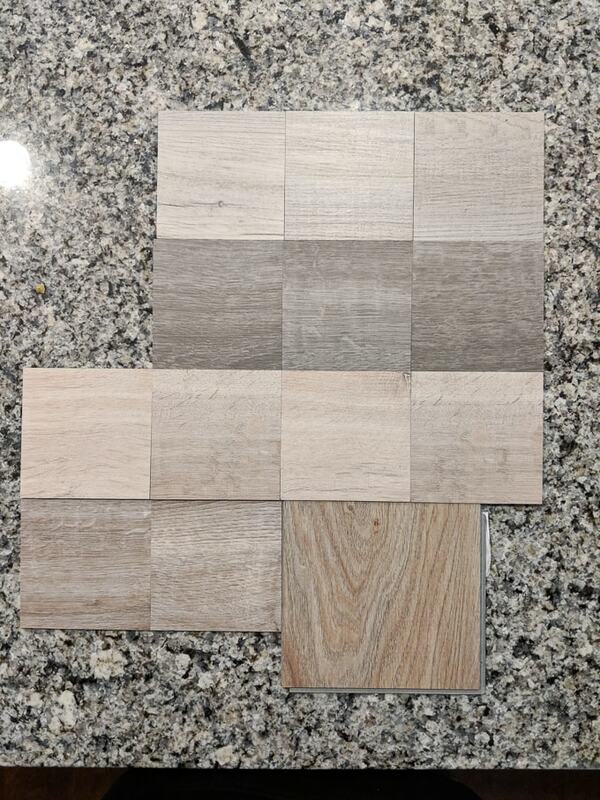 I considered Sterling Oak, Ocala Oak, and Choice Oak. Ocala and Choice ended up being way too light and dark, respectively. So hard to tell online. Sterling oak seemed to be a great mix of gray and brown, though. 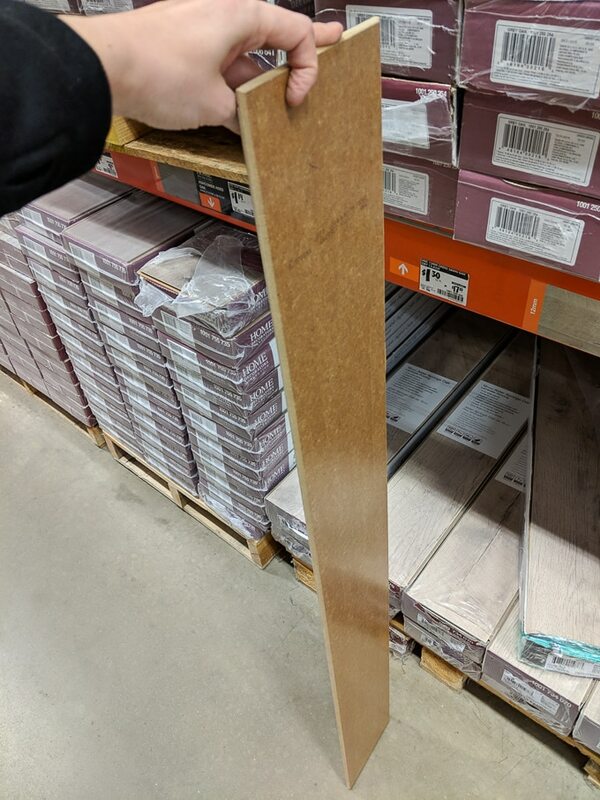 All of the planks felt very substantial, much like the SMARTCORE planks at Lowe’s. A downside of this line is that it doesn’t have as many color choices, and the wear layer seems a bit thin for the price point. 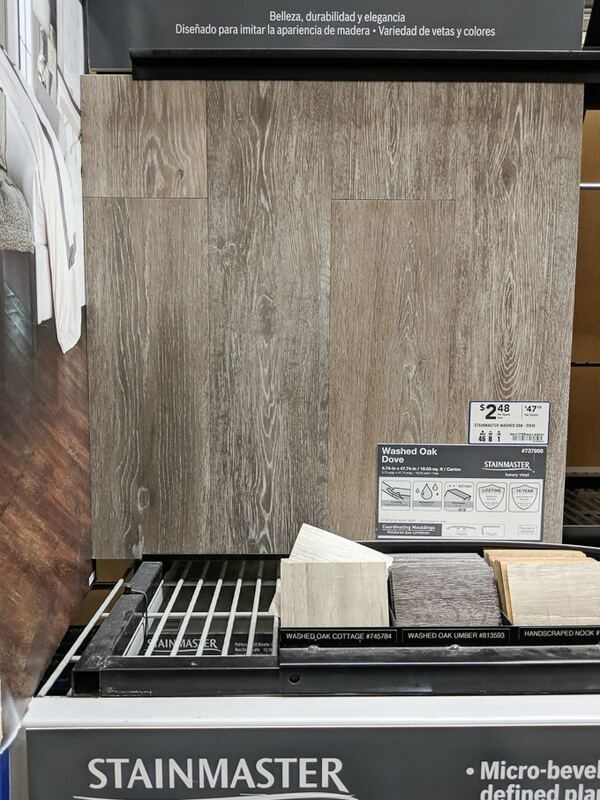 A lot of the Shaw vinyl plank floors at Home Depot were over my price threshold of $3/sq ft, but Colorado wasn’t. Available in 6 colors. 15 year wear warranty. Unfortunately I wasn’t able to see it in the store—even a sample—and I really couldn’t justify the high price for such a low mm thickness and mil wear layer. I view this as the budget option of LifeProof. The reviews are excellent, but the store associate said these floors are best over subfloors that have very little, if any, imperfections. For what it’s worth, he said he’d put these in a rental property and put LifeProof in his own home. Planks are phthalate- and formaldehyde-free. 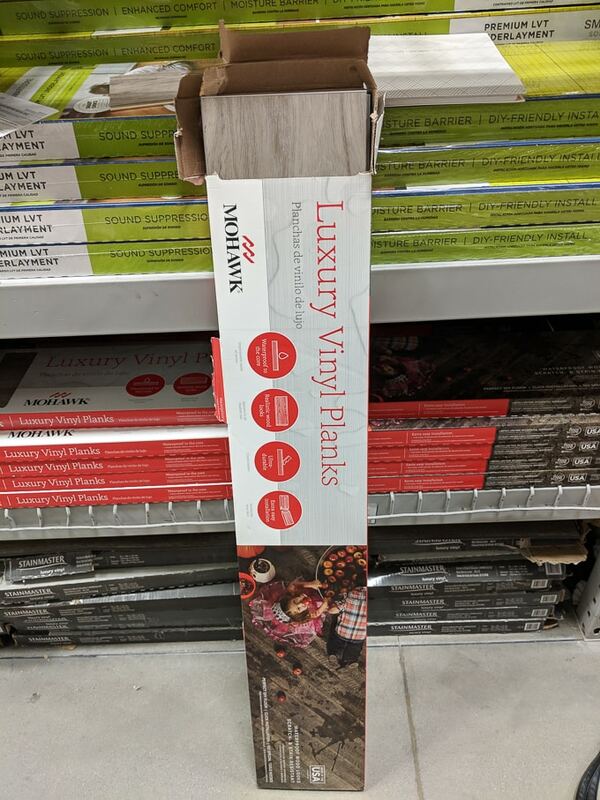 Unlike a lot of the other vinyl planks, these require a 48-hour acclimation time, I assume before installation. That could be problematic if you don’t have anywhere to store all the flooring. Lifetime residential warranty. I loved the colors Coastal Oak, Crystal Oak, and Quiet Oak online. They were also all beautiful in the stores, and this line has a much wider selection of colors. But like some of the others, I thought they were too flimsy for my needs. I was especially excited about this floor because of the lower price, the great reviews, and the personal testimonial from a few friends. 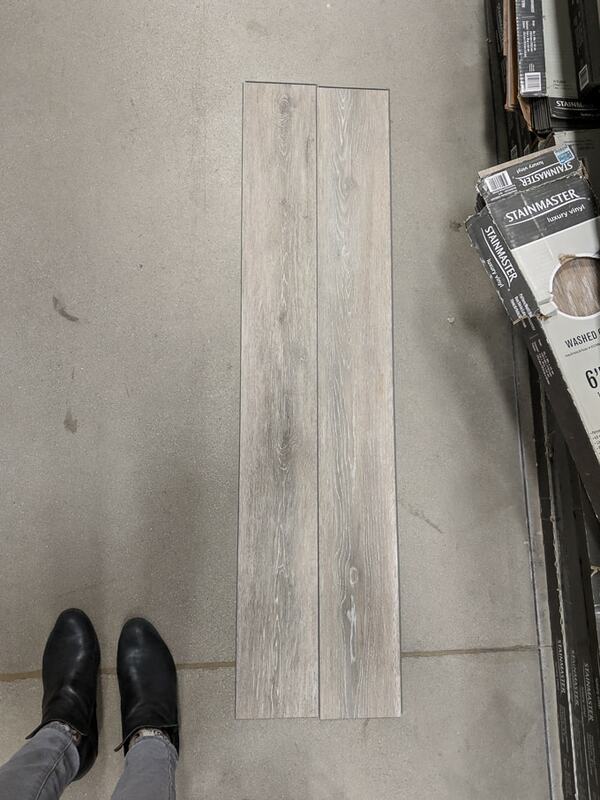 I had a lovely experience at my local Lumber Liquidators, where I was able to see larger samples of the floors and chat with the store associate about the differences. One drawback of these floors is that they have no preattached padding, which you can buy separately if you want. You also have to buy a moisture barrier, which is required. I considered Riverwalk Oak, which was really lovely. A bit of a step up from the Tranquility line in terms of thickness, the CoreLuxe line has a solid polymer core and a high-density 1mm attached pad underneath. 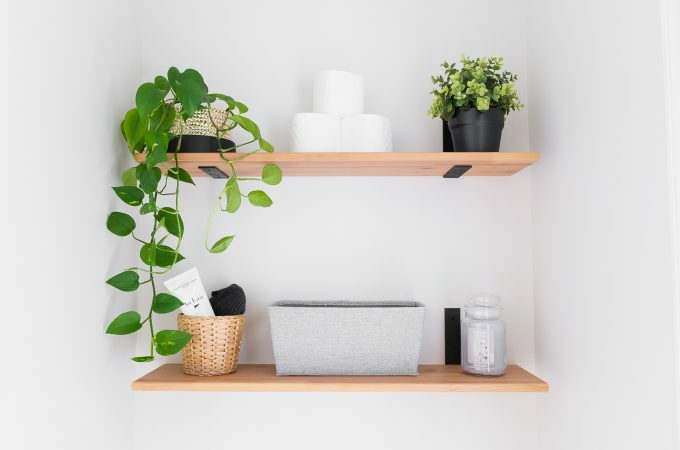 Although it has the same wear level of thickness as the Tranquility line, the website claims CoreLux has an enhanced wear layer that protects against damage. It also has superior dent resistance. Same comment as the Tranquility line about being phthalate-safe. 50-year residential warranty. I considered Beach Cottage Oak and Driftwood Hickory, and I can tell you that these planks are great. Very thick and sturdy. I was really impressed by how realistic the samples looked and how substantial the planks felt, especially with the attached pad. However, I had some trouble finding the perfect color. 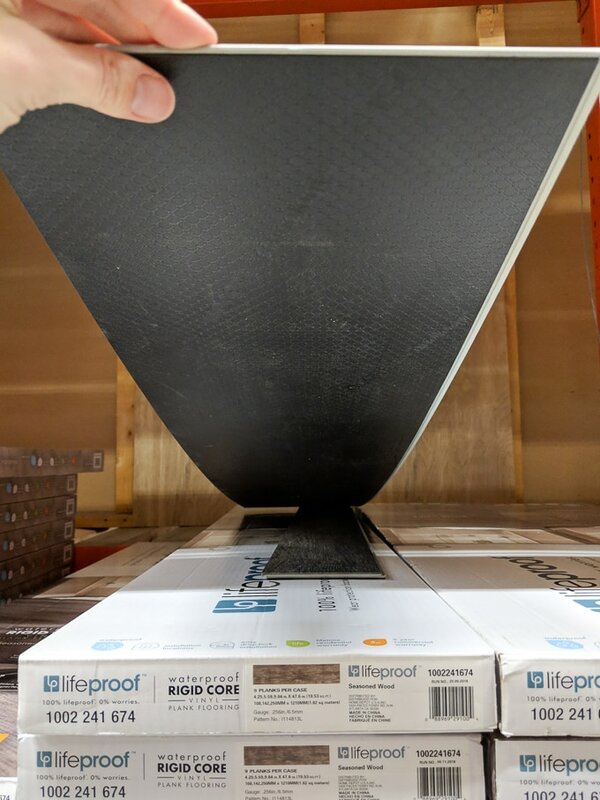 I also didn’t like that a separate moisture barrier was required, and the store was really selling an insulated underlayment; these things would push me up over my $3/sq ft budget. Would love to hear your thoughts on affordable vinyl plank flooring options! Do you have any vinyl plank flooring in your home? If you’re considering it, did you find this post helpful? Let me know! Talk to you soon…hopefully with new flooring!